Singapore is the most expensive city in the world but do expat salaries reflect the high cost of living? We invited Desmond Chow, Managing Director, from Asia Expat Guides to share some insight and top tips. Singapore is well developed and an exciting place to move to. The biggest challenge many expats face is working out their position in the market and what a reasonable salary might be, when compared to the cost of living. 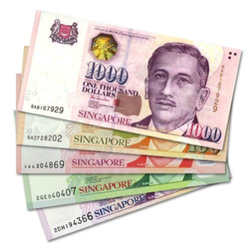 Singapore one of the most advanced Asian economies, but many expats are surprised to learn that it does not have a minimum wage law. In its place is the government-backed Central Provident Fund (CPF), a compulsory savings scheme for employees, which can be used for retirement, medical fees and other expenses such as property purchases and investment purposes. In short, your employer will contribute 16% of your salary to this account and from your monthly salary; the employee will commit 20% to this account. This means that if your company promised a monthly salary of $5,000, you will receive a take home pay of $3,200 and on top of the $5,000 your employer will input $800 into your CPF. The bad news is that CPF is a compulsory savings tool for Singaporeans and Permanent Residents only. Let's take a look at the starting pay of fresh graduates here for a benchmark. According to the Hay Group's Fresh Graduate Pay Survey 2012 (which surveyed 79 companies) conducted in June last year, the average starting monthly pay for degree holders is S$2,678. Those with Honours degrees and above can expect to earn between S$2,766 and S$2,882. The results also showed that jobs in engineering commanded the highest average starting salary, with jobs in research and development coming in second and merchandise operational workers as the third highest paid. On top of just the basic monthly salary, it is very important to look at the payout for your labour as a whole package. Bonuses can sometimes make a huge difference to the overall pay package. For instance, most companies in Singapore pay a 13th month bonus, also known as the Annual Wage Supplement (AWS), at the end of the year. You should also try to find out whether there are any variable/performance bonuses in your job role, as well as any promised annual increment. The latter is not always offered and if that is the case the prospect of a stagnant salary may be unattractive, especially when the inflation rate is rising in Singapore. Other allowances can also make the pay package more palatable if your monthly salary is not to your expectations. For instance, some companies provide transport allowances and foot your mobile phone bills, especially so if you are in a sales position that needs to meet clients regularly. If your work requires frequent travelling, a daily overseas allowance may also be included to pay for your daily meals and transportation. For expatriates, you may want to be extra careful about accommodation arrangements. Some companies will rent the place for you and pay for your accommodation, whereas others may offer you a fixed monthly allowance and let you choose how much you want to spend on rental. The latter arrangement can be a way for you to save some money if you do not mind settling for a cheaper place. If you are wondering which are the best paying jobs in Singapore, a report by the Ministry of Manpower lists the top three industries as the IT, Engineering and Maritime sectors. It used to be banking and financial jobs at the top of this list but the economic uncertainty in recent years and inconsistent salary ranges have reduced their once-prestigious position. There are a number of industry salary guides compiled by various recruitment agencies and you can easily find them by searching online. Some of these companies include Robert Half, Hays, Michael Page and the Ministry of Manpower. The more research you carry out beforehand, the better placed you will be to negotiate the right salary for you. Join our free prize draw to win hotel stays, travel gifts and expat relocation services. Just sign up to our newsletter. It's full of holiday ideas and free information. Sign up now to avoid missing the fun. It's all about sharing information.